What are the standard pallets dimensions? What are other standard pallets dimensions? 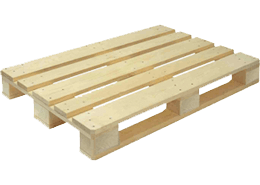 A pallet is a flat structure that is used for shipping and transport. 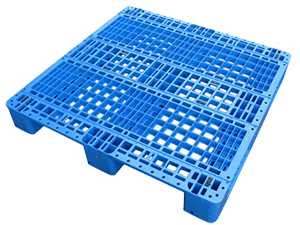 Pallets allow commercial goods and shipping containers to be shipped in a stable fashion by giving them support so pallet jacks, forklifts, front loaders and other jacking devices can lift them. Pallets allow for efficiencies in storage and handling. They can also be used in many creative ways, more examples can be found in this article about the usage of wooden pallets. 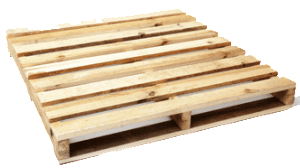 What Are The Main Types of Pallets? Use a frame of three or more parallel pieces of timber (called stringers). The top deckboards are then affixed to the stringers to create the pallet structure. Stringer pallets can have a notch cut in them allowing “four-way” entry. Also known as “two-way” pallets, since a pallet-jack may only life it from two directions instead of four. Forklifts can lift a stringer pallet from all four directions, though lifting by the stringers is more secure. 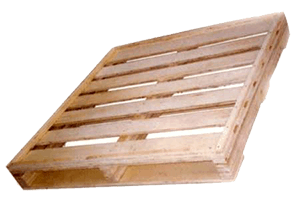 Block pallets are typically stronger than stringer pallets. Block pallets utilize both parallel and perpendicular stringers to better facilitate efficient handling. 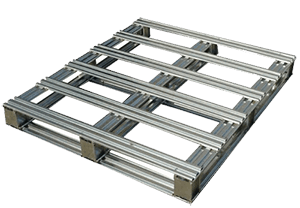 A block pallet is also known as a “four-way” pallet, since a pallet-jack may be used from any side to move it. What Are Other Types Of Pallets? All solid wood packaging must be heat-treated or fumigated before they can be imported into most countries, as of 2002. Suited for clean room environments in medical, pharmaceutical and non-wet food applications. 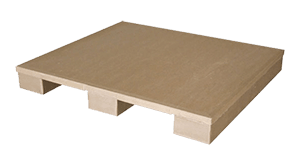 Free of contaminants, they comply with phyto-sanitary ISPM regulations governing export shipments without the need for additional treatment and replaces heat-treated pallets. 62 lbs, yet edge support rack capacity at 3,500 lbs. Static capacity of 40,000 lbs. and dynamic capacity of 10,000 lbs.